Need more information about booking Home 7444785 ? Lilliput - 2 bedroom cottage with hot tub. A detached renovated farm building in its own grounds. Lilliput is the perfect getway for couples or famillies. With its own conservatory right by the hot tub it is almost like having 2 lounges! 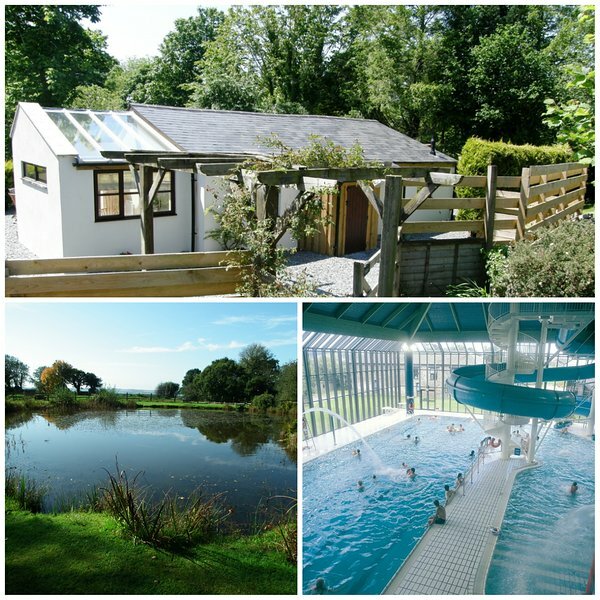 - outdoor pool (summer only), fishing & much more. Check out our Trehill Estate page. China Fleet club - Just a few miles away. It boasts superb leisure facilities as well as a championship golf course. Being on one level with no steps, it is also ideal for the less mobile. Trehill Holiday Cottages – idyllic lakeside holiday cottage complex in Callington, SE Cornwall. Stunning hilltop location in the heart of the Tamar Valley with free on-site fishing & great leisure facilities! All cottages have private gardens, patios or balconies. Our smallest is Owls Roost sleeping2/4 & our Largest, Gulliver, accommodates 12 in style & comfort. There are 4 delightful cottages here (with 3 more on the adjacent Long Barn Cottages). Large living/dining room with glazed brick walls leading out into the beautiful sunny conservatory. Wifi, 37" LCD TV. Sky TV DVD player with DVD library, CD player. The vaulted conservatory has double patio doors leading out onto the large enclosed terrace with patio furniture and barbecue. Catching the sun nearly all day, it is a perfect place to relax with a book or a glass of wine. There is a lovely new solid wood kitchen with all the major appliances. There is full central heating through out. Trehill is in an exceedingly peaceful location, yet good A roads are just seconds away - perfect for getting around Cornwall and Devon. This House has 2 bedrooms, 2 bathrooms and sleeps 4. It’s been listed on Holiday Lettings since 06 Jul 2016. Located in Cornwall, it has 11 reviews with an overall rating of 4.5. The average weekly rate varies from £401 to £1140. We had a lovely stay 7nights over new year. Cottage is a great size, clean, & comfortable. It had everything I needed I had two young children age 4 & 20months who both loved this little holiday, visiting Plymouth aquarium, Tamar bike trails, china fleet club a few times it was such a bonus & very well run, we got to visit Dart Moor in the snow! The hot tub is perfect in the evening when the kids went to bed! We will be back, lovely location/accomadation & lovely owners who were very helpful. Thank you.